RALEIGH: Ovation, America’s only arts network, will join Spectrum to recognize and award the Arts Council of Fayetteville/Cumberland County $10,000 as part of their Stand for the Arts joint initiative, which is dedicated to supporting local arts, cultural and educational organizations. Ovation and Spectrum will highlight this award at the organization’s 45th anniversary event, Thursday, November 8 at 6 p.m., at The Arts Center in Downtown Fayetteville. The award will be used for outreach to raise awareness of available grants and scholarships that promote the arts in throughout the region. 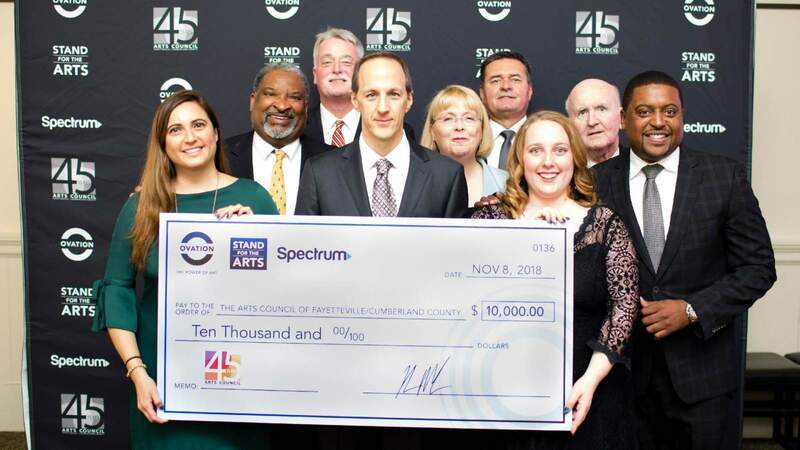 In addition, Spectrum will also run public service announcements to highlight its Stand for the Arts partnership with Ovation and reinforce the value local arts organizations bring to communities across the country. Grant recipients were chosen based on three criteria: their level of community outreach and engagement, their ability to create inclusive access to artistic programming and their innovative approach to arts education and skills development.